/ Victor PestChaser Review: Does It Really Work? Victor is one of the most prominent names in the rodent control market and with good reason. Their first success was their 1898 spring-based Victor Mouse Trap. Ever since then, they have been providing the world with much-needed quality products. Their products have been huge successes in the market, but even then, they have not stopped improving the products they present to us. They continuously strive to provide their loyal customers with what they need. This is why whether you need to eliminate rodents or prevent an infestation, Victor is the brand to turn to. You can always trust this company when it comes to protecting your home and children from pests. Victor has always made products that aim to give their customers the best experience. This is why they make sure that their products are easy to set up. To activate it, all you have to do is plug it into the wall outlet of your desired room and it’ll do its job. One thing that most of us can agree on is how much we despise having mice and rats inside our homes. They are one of the most annoying pests in the world and can cause plenty of damage to your home if they aren’t dealt with immediately. Not only will they nab your food and eat through your clothes, but they also happen to be disease carriers as well, so they aren’t exactly going to be great to have around in a house full of kids and pets. Trying to get rid of these rodents yourself is more difficult than it sounds as they can be quite good at being elusive. Even though they aren’t exactly considered major threats to our health, they should still be dealt with accordingly. If you’re not comfortable with the thought of hiring an exterminator, then you can go with the next best option which is to get the Victor Pestchaser Pro. 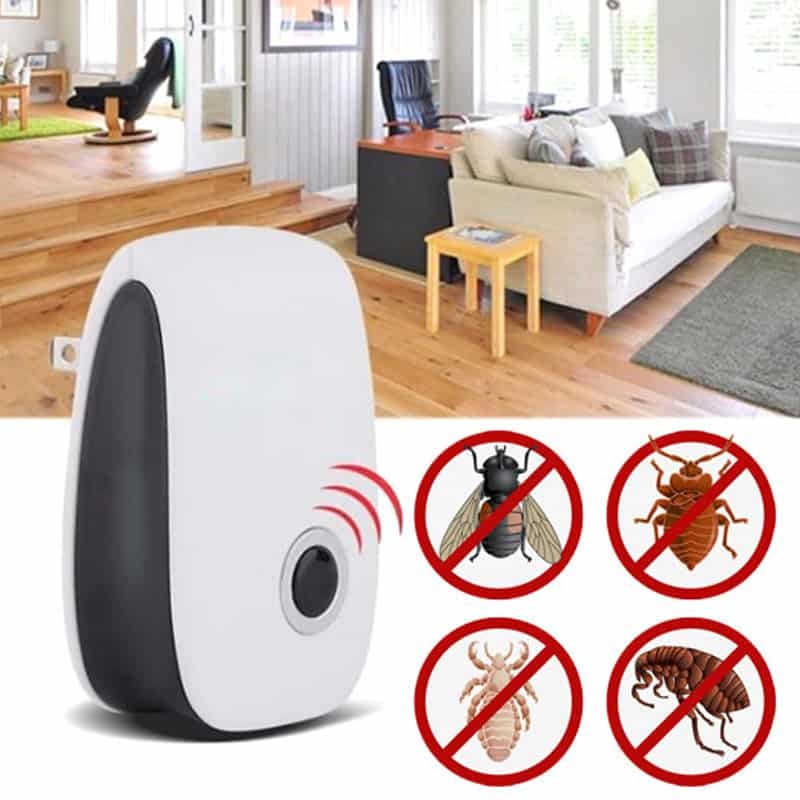 How does this device work though and is it really worth having in your home as opposed to just hiring an exterminator? Let us find out in this comprehensive Victor Pestchaser review. The Victor Pestchaser Pro was specifically designed to rid your home of mice. Let us explain to you how the device works. Once you plug it into a wall outlet, a red LED light will turn on, which will show you if it is working properly or not. The device will then emit a high frequency sound wave. This sound wave is what disturbs the mice to the point of fleeing. Don’t worry though, this sound is inaudible to both people and non-rodent pets, so it’s completely safe. The high-frequency sound waves the device emits is hostile to rodents but not deadly. It subjects them to extreme auditory stress. As a result, the auditory stress they experience marks the specific room as an unsafe territory. This will get rid of the current rodent infestation – if you have one – and will most likely prevent future ones. Keep in mind that this also affects animals in the rodent family such as hamsters and guinea pigs. Do not install the PestChaser in rooms where you may have these kinds of family pets to avoid any problems. Now, you may think that like humans, the rodents will get used to the high frequencies after a while and will ignore it. In fact, this is the case for many rodent-repellers. These rodent-repellers rarely work for more than a short period of time and re-infestations occur. Thankfully, the team at Victor has thought about this problem and has provided you with a sure solution. They purposely designed the PestChaser to work with the right technology to completely avoid ineffectiveness. This technology enables it to frequently change the tone it emits. The regular change in tone makes it near impossible for the rodents to get used to it. These frequencies range from 32 to 62 kHz which, again, are not audible to human beings. The best thing about the PestChaser is that it doesn’t kill the rodents that come into contact with its sound. Rather, it repels them and causes them to leave the room you installed the device in. This means you don’t have to deal with the cleaning up of any dead mice around your home. One reason why you should choose repellents instead of killers is that it is a safer alternative. 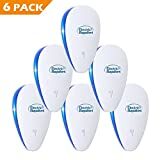 They protect you from getting in contact with any disease-carrying rodents, unlike with traps and poisons which require you to pick up the dead body in order to dispose of it. Keep in mind that the device doesn’t emit the sound all throughout the building it is in though. This is due to the nature of ultrasound waves. You have to place one or more in every room around your home to ensure a rodent-free environment. The whole process of ridding your home of rodents by using ultrasonic waves takes about 6-10 days. You have to wait this long to fully drive them out, so don’t expect a clear home overnight. When you’ve driven them out, it’s best to still keep it installed for as long as you can to prevent a re-infestation. The radius that the PestChaser covers ultimately depends on the room you place it in. It also depends on the number of objects in the designated room. Keep in mind that due to the nature of ultrasonic waves, it cannot penetrate through walls and solid objects. This is because ultrasonic waves behave much more like light instead of actual sound. Ultrasonic waves are also fragile and do not work well past 20 feet. Also, since it is fragile, any type of barriers may cause the frequency to be less effective towards the mice. Just like with light, obstructions lessen or completely diminish its reach. Remember that obstructions aren’t just walls, they can also be furniture and similar objects. To increase the effect once more, we suggest you install more than one unit in the room or area. Now, the PestChaser is sure to rid your home of rodents. You just have to remember that it isn’t a magical device. Follow the necessary guidelines for the best results and to effectively clear your home. One common error that most people tend to commit with any type of rodent repellent device is using it alone so they can attempt to control an established infestation. Using rodenticides and mouse traps should be done in conjunction with ultrasonic repellents. One thing that might not be commonly known about ultrasonics is that they can be used as herding tools to effectively lure out and bait rodents into areas that are set with baits and traps. The device itself is quite minute and measures 4 x 6.6 x 9.8 inches and weighs in at a feather-light 1.5 lbs. It looks kind of like a small boom box and packs twice the punch of most of the electronic repellents being sold in the market. Even though the device might not be that big, it is designed to cover large rooms in your home, including the kitchen, attic, basement, and garage. 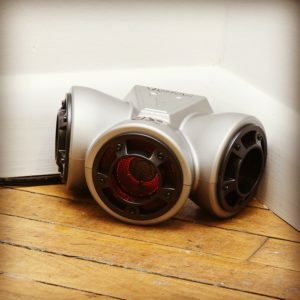 The Pestchaser has two speakers that have pretty decent range and can provide maximum coverage. You should be able to see results within 6 to 10 days depending on the severity of the rodent infestation in your home. 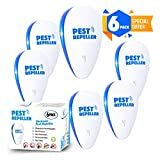 It has a 6-foot compared which, when compared to other electronic rodent repellents, is fairly long and allows you to find better placement for it. Since the sound that it emits can’t be heard by human ears, the device has an LED light that flashes to let you know that it is working. It is estimated that this device can last for up to 7 years, but some testimonials from clients claim that it can go for much longer than that. Even though the manufacturer states that its sound waves can only be heard by rodents, there have been some reports of the Pestchaser emitting a faint buzzing sound. Moreover, there is no guarantee that it will immediately be able to get rid of the rodents. Some customers have claimed that they were able to get rid of their mice problem almost immediately, while others had to wait up to a week before seeing any progress. All in all, it might ultimately depend on the severity of the rodent infestation. 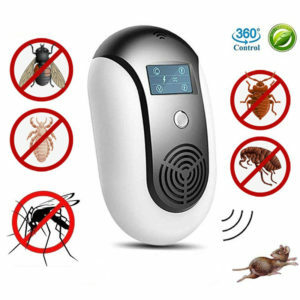 While the device may look a bit similar to electronic insect repellents, it only works on rodents meaning if you have a roach or insect problem at home, then you should probably look for something else because the Pestchaser won’t be able to do you any good in that regard. If you’re not a fan of installing rodent repellents and traps, then the Vicctor Pestchaser is for you. All you have to do is take it out of the box, plug it in and let it do its thing. The time it will take to effectively eliminate the pests from your home will vary and depend on many factors including how long they’ve been staying in your home and how well they can adapt to their environment. Thanks to its 6 foot cord that can be plugged in to any normal AC outlet, finding a suitable placement location for it should be fairly easy. In addition to not needing any kind of assembly or installation, the Victor Pestchaser contains no harmful poisons or chemicals, and is completely safe around children and non-rodent pets. 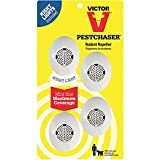 The Victor Pestchaser is affordable and a 3-pack costs only $26.59. 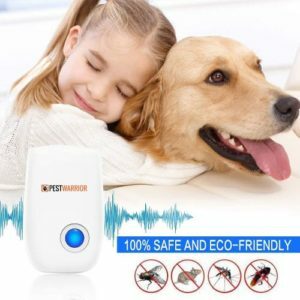 This is a pretty good price considering how well it works in keeping rodents at bay thanks to its high frequency sound waves. Your ears are going to be completely safe since they are inaudible to humans and non-rodent pets, so don’t worry about not being able to have some peace and quiet at home with these things plugged in. It is also quite energy efficient and doesn’t use up too much electricity when plugged in. Studies conducted by the manufacturer have showed some rather promising results from their Pestchaser. They tested a total of 17 sites and had successfully repelled rodents from 13 of those sites. They also noted that food consumption in the tested areas had decreased by a whopping 67 percent. On average, it takes about 6 days for all rodent activity to completely stop based on their studies. The news is promising and seems to be consistent with the testimonials and reviews provided by customers who have used the Pestchaser and experienced positive results. Pestchasers are also very low maintenance and most units should be able to last you for more than a year. Affordable and can be purchased for a fair price. Placement of the device is easy thanks to its 6 foot cord. High frequency waves are inaudible to human and non-rodent ears. No installation or assembly required. It is lightweight and can be carried around easily thanks to its compact size. Low maintenance and can last for a year or more. Provides a safe and non-toxic approach in dealing with rodent infestations. Safe for kids and non-rodent pets. Some customers have claimed that their units emit a faint buzzing sound. No guarantee of product being able to immediately rid your home of rodent infestation. The time it takes for results to show can vary greatly. Overall effectiveness of product is 50/50 at best. 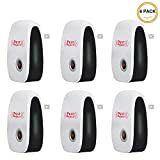 This product comes highly recommended for homeowners who are looking for a way to rid their houses of rodents without having to resort to poison or baits. For its price, it is a viable option that is worth investing in. The fact that they require no instalment or assembly, and are low maintenance make them a low risk investment. It is the best option for anyone who isn’t comfortable with the thought of having to use mouse poison or traps. We know that these two options can be a bit messy and is not everyone’s cup of tea, so having another option like the Victor Pestchaser is great for any homeowner who wants a not-so-messy solution to his/her rodent problem. All in all, the Victor Pestchaser is really worth trying out. You should have no problem using it since all you have to do is just plug it in and wait for the rodents to get repelled by its high frequency sound waves. The verdict on its overall effectiveness might still be up in the air at this point, but for now it is a product that is definitely worth trying out because of its low cost and low risk. So do yourself a favor and get rid of those rodents with the Victor Pestchaser because you just might end up liking it.